2017 Citroen C3 Aircross reader test team review | What Car? It might seem odd that Citroën has replaced its C3 Picasso, a car near the top of the small MPV game, with a car in a different market. Really, though, the new Citroën C3 Aircross small SUV represents more of a shift in perception than ethos. The C3 Picasso made its name with a cleverly packaged and spacious interior, a comfy ride and a big boot, and the C3 Aircross aims to further those qualities while being more image-conscious in order to tempt people out of a Nissan Juke or Renault Captur. Practicality is met with above-average head and leg room, the availability of sliding rear seats and a big boot. Idiosyncratic looks and a myriad of colour combinations sort out style. Engines are three 1.2-litre petrols (with up to 128bhp) and two 1.6-litre diesels, and both manual and automatic gearboxes are available. The C3 Aircross is on sale now, with pricing ranging from £13,995 to £16,900. “I owned Citroëns for 25 years until I switched from a C3 Picasso to a Honda Jazz small hatchback two years ago. “I found the C3 Picasso’s clutch and gearbox too heavy, and it was too cumbersome to park in the busy streets near my home, but I’ve not found the Jazz a perfect match either, because it has too much of a bumpy and jittery ride. A comfortable ride is important to me, and it’s something that Citroën has historically been known for. “The C3 Aircross is actually bigger than the C3 Picasso, which is a bit of a concern, and visibility out of the rear is very poor due to the thick window pillars. 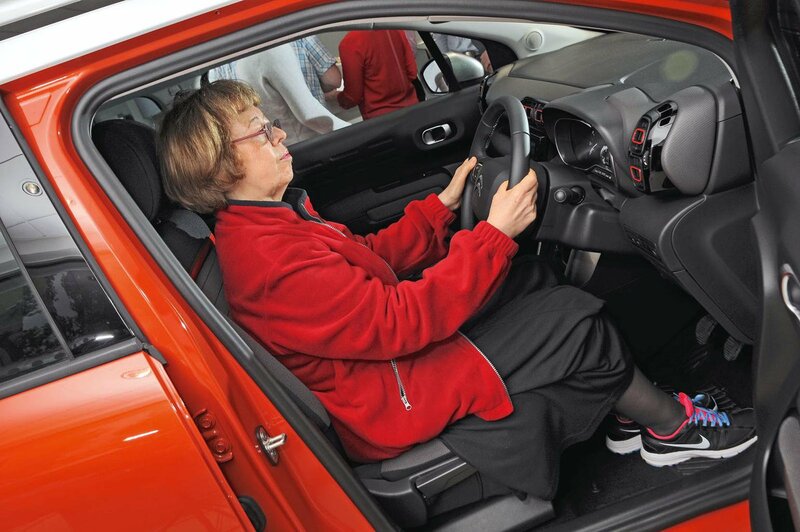 "The C3 Aircross’s gearbox and clutch are much lighter – both good things. It has the same high driving position as the C3 Picasso, too, which is something I’m looking for. “I like the option of having door mirrors that automatically fold in when you turn the engine off; that’s good for street parking. “I wouldn’t go for big alloy wheels on this car, though, because they’d be easy to kerb. “The 7.0in touchscreen infotainment system is a big improvement on that of the C3 Picasso; it’s much more intuitive to use. Julia: “We’re looking to replace our six-year-old C3 Picasso, but we’ve struggled to find a new car that’s frugal to run, easy to drive and comfy for four tall adults. 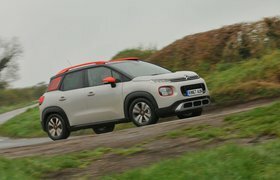 “We hope that the C3 Aircross can build on those qualities of the C3 Picasso while injecting some style into the formula. “We go out as a family fairly often, so the C3 Aircross’s practical interior is perfect for us, as is its large boot. “The driving position is good and the controls on the dashboard are well arranged. 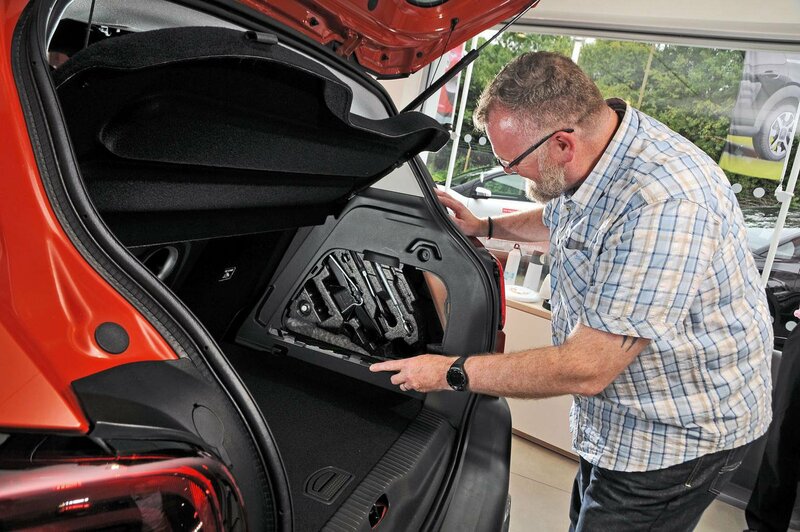 “This car is well thought out, with plenty of practical details, such as the sliding rear seats and slot for storing the parcel shelf when it’s not in use. “I also like that it has a normal handbrake lever rather than an electric one, and that a rear-view camera is on the options list. “I bought a DS 3 hatchback earlier this year, but I’m now looking for something roomier to replace it, so an SUV seems the best option. “I’ve had lots of Citroëns over the years, and the brand’s quirkiness is something I love. “The C3 Aircross’s chunky exterior design is lovely. I especially like the unusual touches such as the plastic venetian blind effect on the rearmost window pillars. “This combines with the ‘face’ of the C4 Cactus, with separated headlights and daytime running lights, very well and really differentiates this car from other small SUVs. From an aesthetic perspective, I’d say the C3 Aircross demonstrates that Citroën really has got its mojo back. “I’m a big fan of the fact that buyers can personalise their car with contrasting colours for different areas, such as the roof and dashboard.